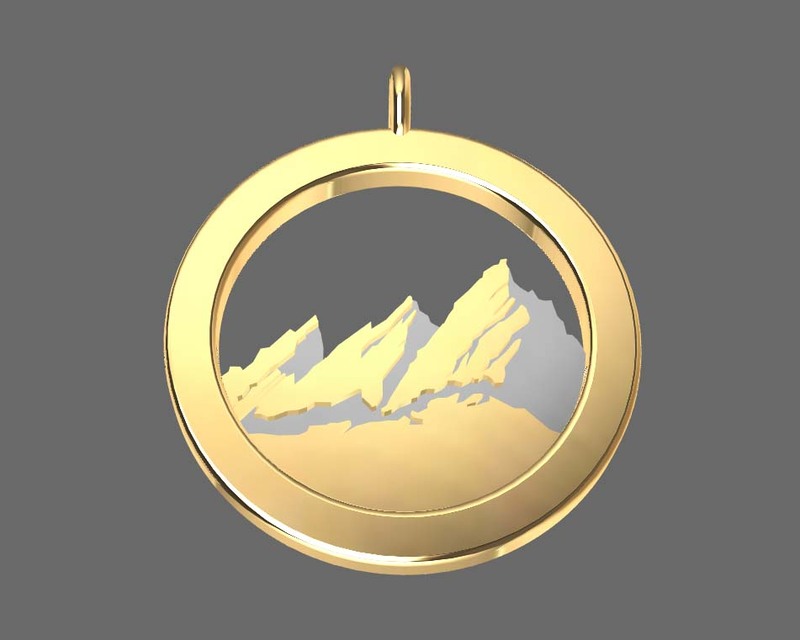 We took the photograph, CAD the design and cast your pendant in house. The actual FlatIrons of Boulder in a .75″ diameter round pendant with a 16″ 1.5 mm cold cable chain ready to wear! Custom order please allow 4-6 weeks for our production.